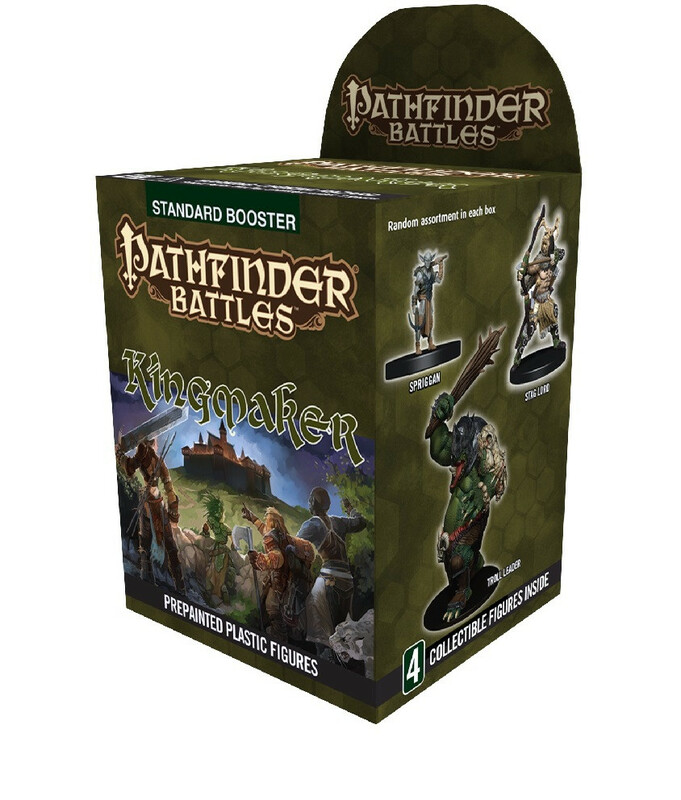 Pathfinder Battles: Kingmaker miniatures come in two product configurations, the Standard Booster and the Standard 8 Ct. Booster Brick. Kingmaker follows the lead of popular Pathfinder Battles sets like Jungle of Despair to provide a legion of high-utility monsters and heroes suitable for any fantasy role-playing campaign. From the disciplined Oni Mage to the deadly Soul Gorger and a special visit from Jaethal an Elf Inquisitor with a dark reputation. Make sure to keep an eye out for the rare “dungeon dressing” inserts that add realism and fun to your fantasy gaming, Kingmaker is packed with the adversaries your game is looking for!